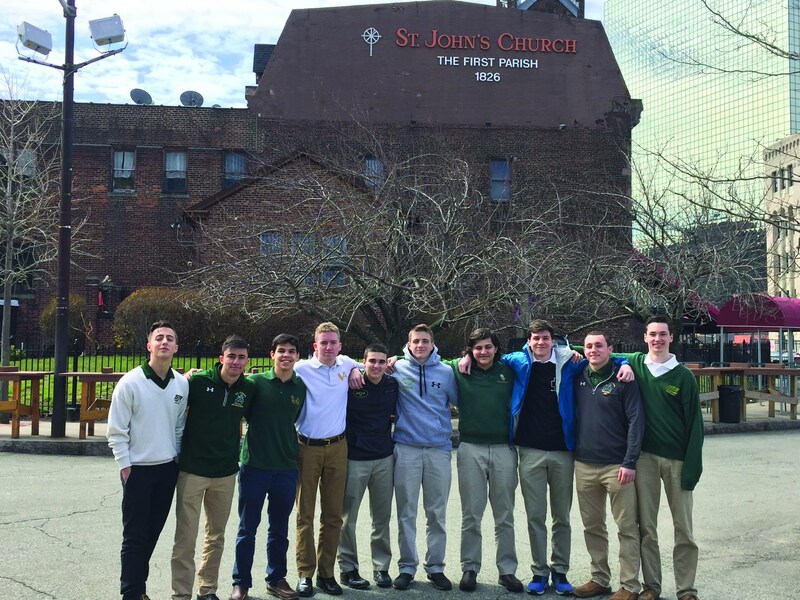 On March 29, SJR participated in the Marist National Day of Service along with countless other schools and communities. 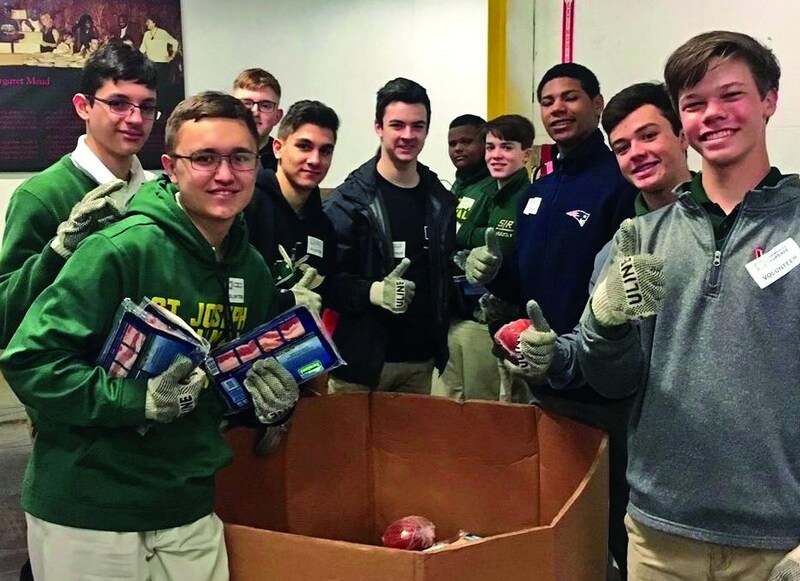 Service projects were planned across the nation and the Green Knights visited four different locations in the area to give their time to a variety of organizations. One group of boys stopped by the Community Food Bank of New Jersey in Hillside where they helped to organize donations for distribution to those in need. Across the river in The Bronx, another group headed to Mount St. Michael Academy to visit retired Marist Brothers at their homes. The following day, still more Green Knights traveled to St. John's Soup Kitchen in Newark where they served lunch to local residents after preparing them in the kitchen. A scheduled trip to Bergen County Special Services in Paramus had to be moved to the following week, but proved worth the wait. 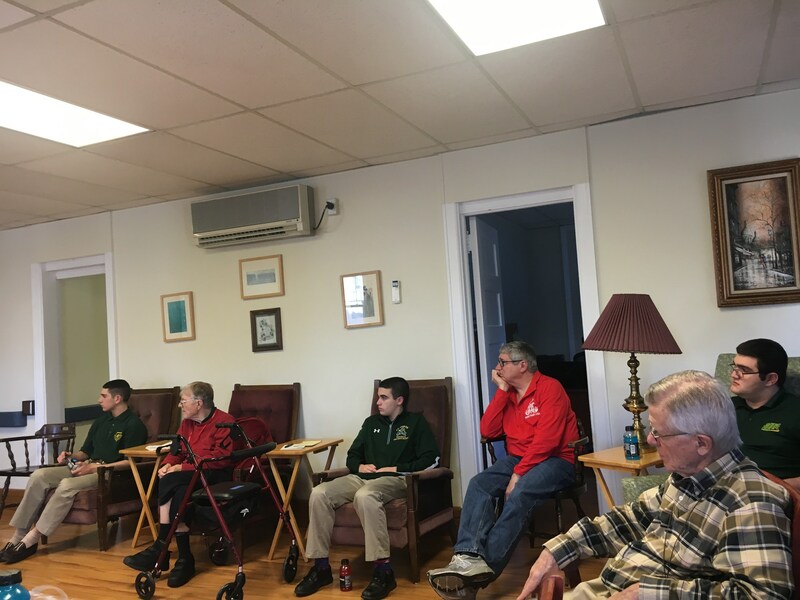 "It was enlightening to hear stories from those in different situations, with different pasts," said Anthony D'Appolito '20, who visited the Marist brothers and spent time at the soup kitchen. "These trips bring perspective and make me grateful for all of the blessings I have in my life." All students who volunteered also participated in a prayer service to reflect on their experience. "The Marist Day of Service was an awesome experience for our students, opening their eyes to the needs of our own communities," said Director of Campus Ministry Mr. Joseph LoGuidice. "To say we are a Catholic school would be nothing if we did not walk the walk."